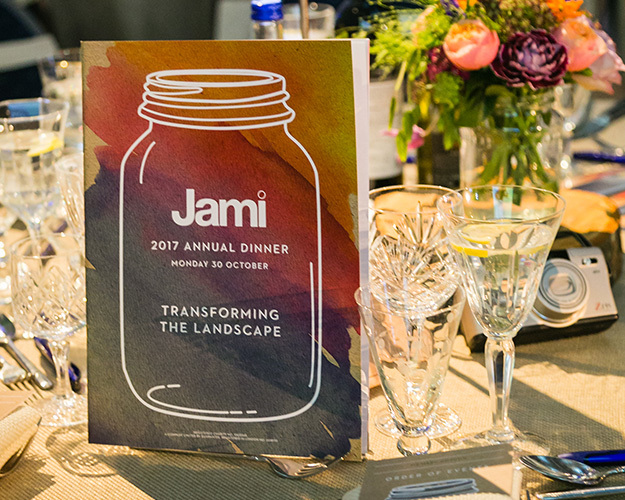 Jami is a mental health charity focused on education and recovery, with ambitions to change the landscape of mental health in the community. 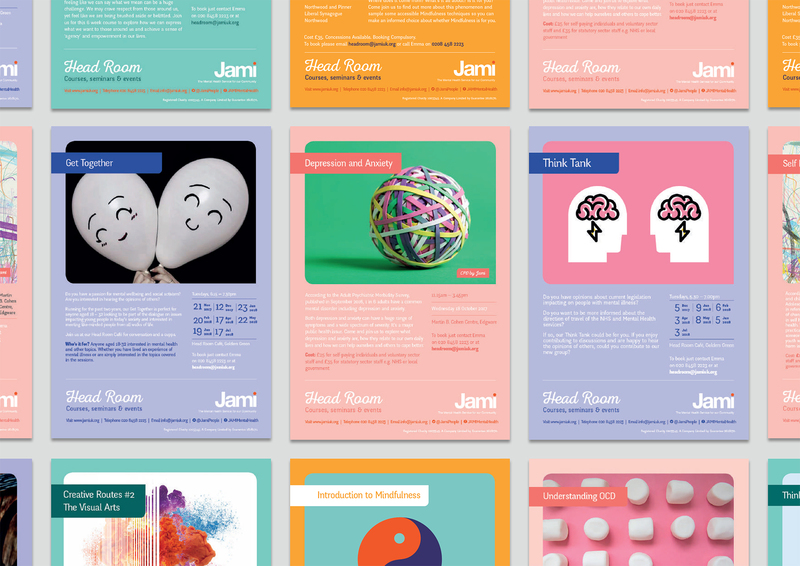 Since 2014, Creative Clinic has been a close strategic and creative partner of Jami, helping the organisation in its efforts to change perception, attitude and understanding of mental illness through striking and bold printed, digital and immersive communication. 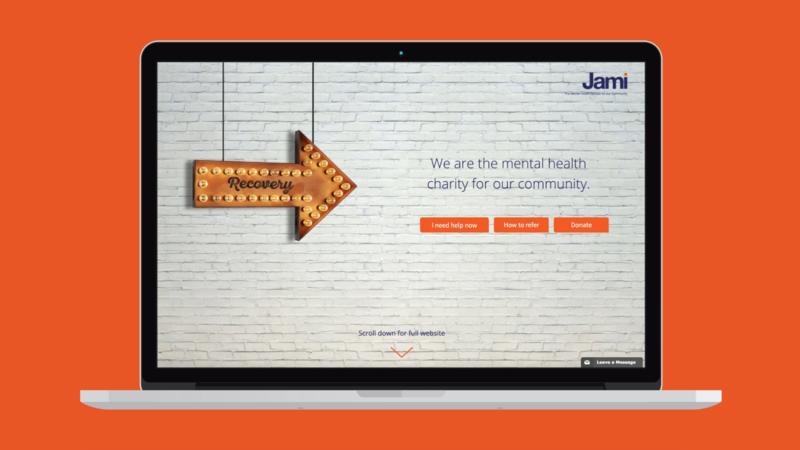 Jami has many segmented audiences to communicate with that include service users, family members, carers, donors, educationalists and medical practitioners. 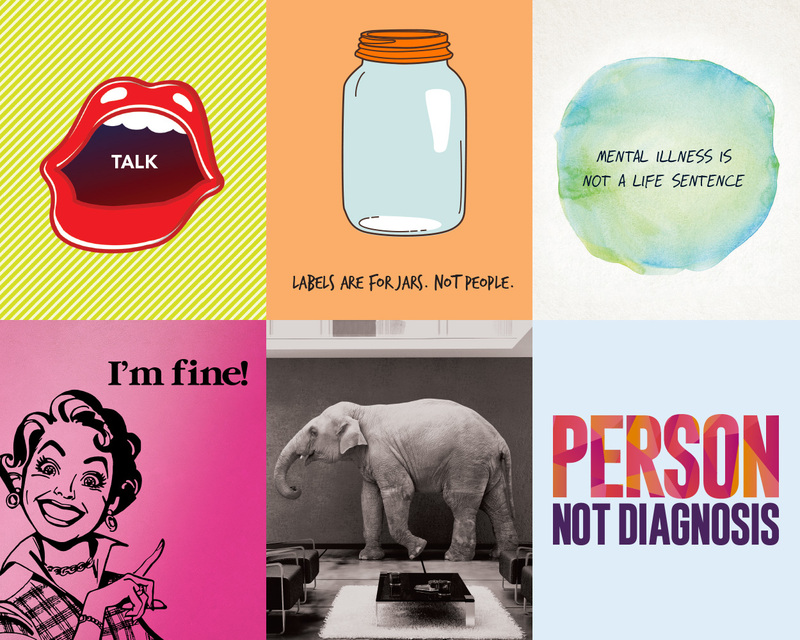 This, combined with the challenge of tackling stigma whilst addressing sensitivities surrounding mental health, required a 360º, fully joined-up campaign running across multiple channels. 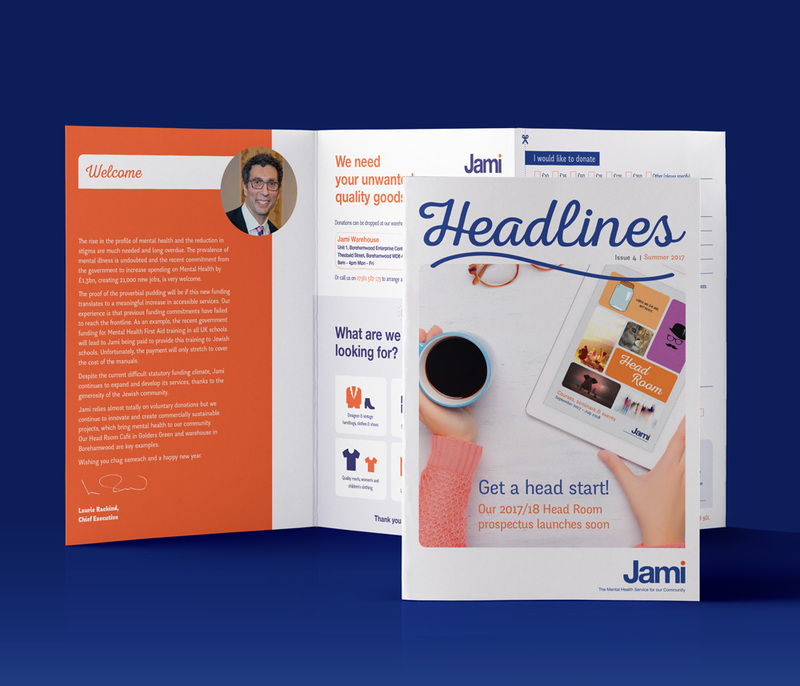 Creative Clinic created a distinctive and consistent brand style and tone of voice, punctuated with vibrant and evocative images, headlines and copy. 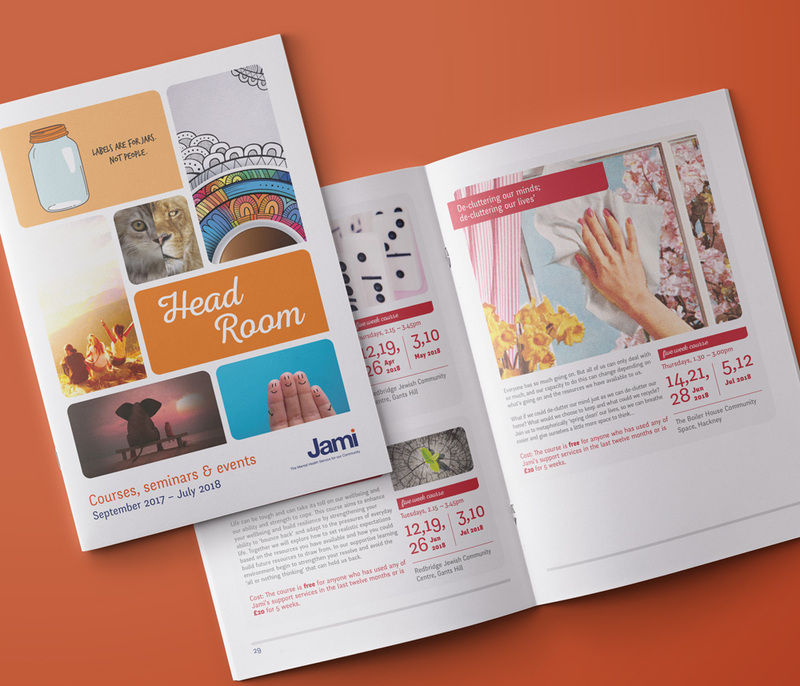 This brand language has been applied to postcards, posters, advertisements, social media, website, corporate collateral, stationery and publications, plus education, event, marketing and fundraising material. 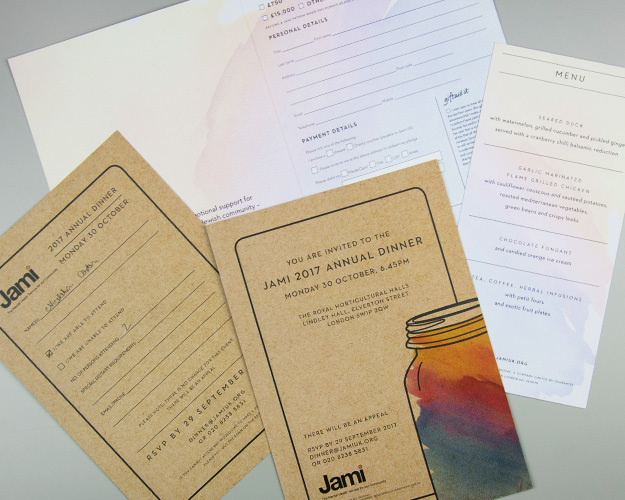 For Jami’s prestigious annual fundraising dinner, we produced event collateral which included visual theming, invitations, brochure, pledge cards and other material for the room and tables – taking key images from the printed and digital marketing campaign (such as the jar and ‘I’m Fine’ lady) and translating them in to a physical space. 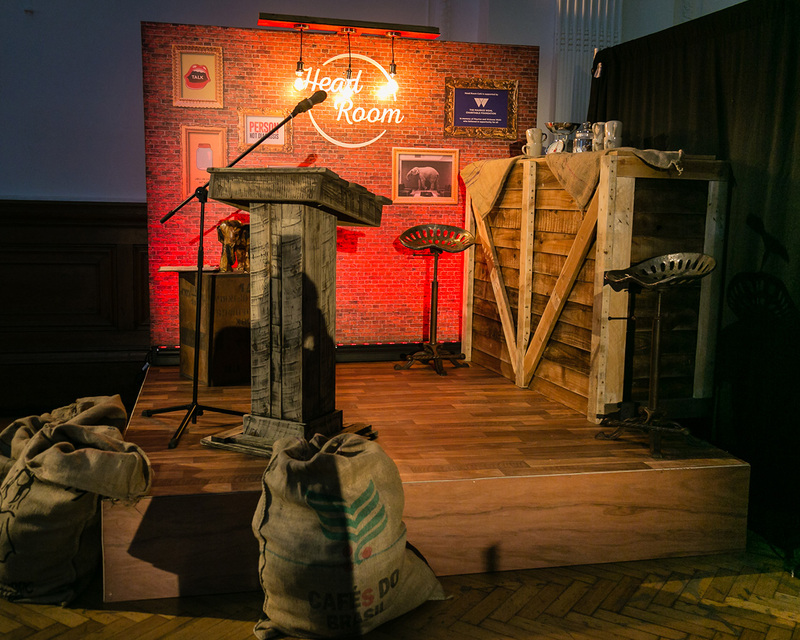 This also involved visualising four stage sets around the venue and working with the production company to bring a taste of Jami’s service offerings (such as Head Room Café and their social enterprise warehouse) directly in to a room full of donors who may not have experienced these services first-hand. 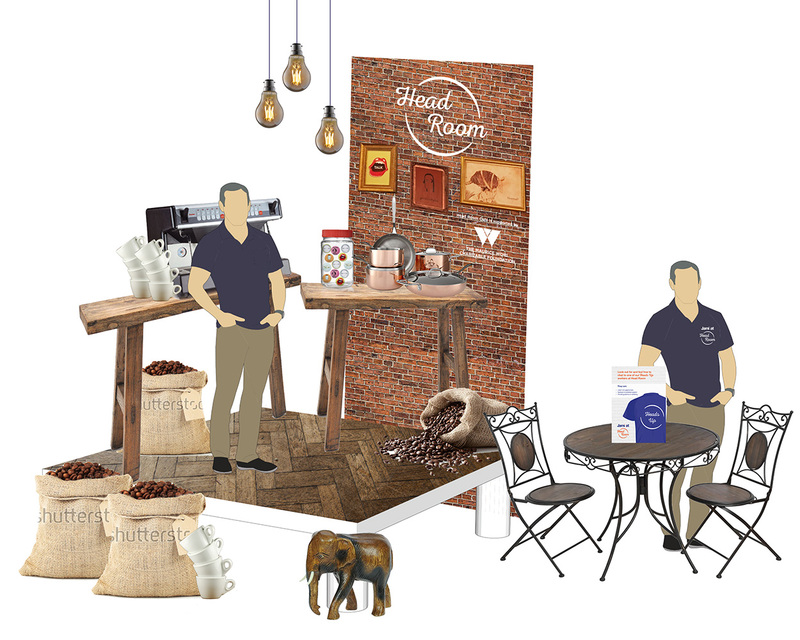 One of the most exciting aspects of our ongoing work with Jami has been our involvement in Head Room Cafe, a social enterprise project that has successfully translated some of the two-dimensional images and elements from the campaign in to a physical, experiential dining and retail environment. 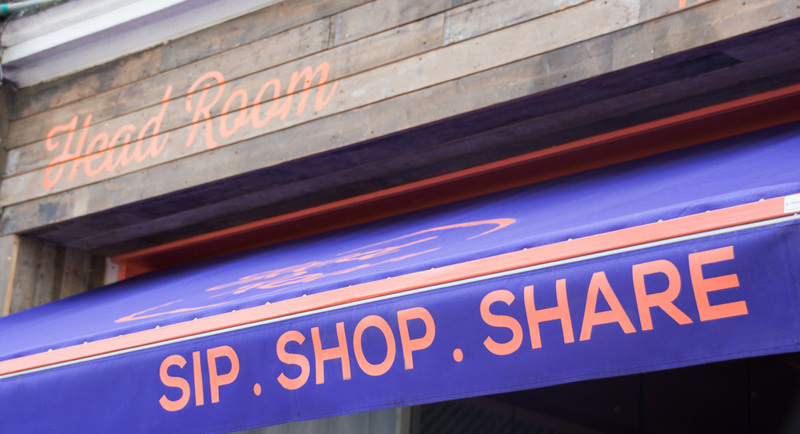 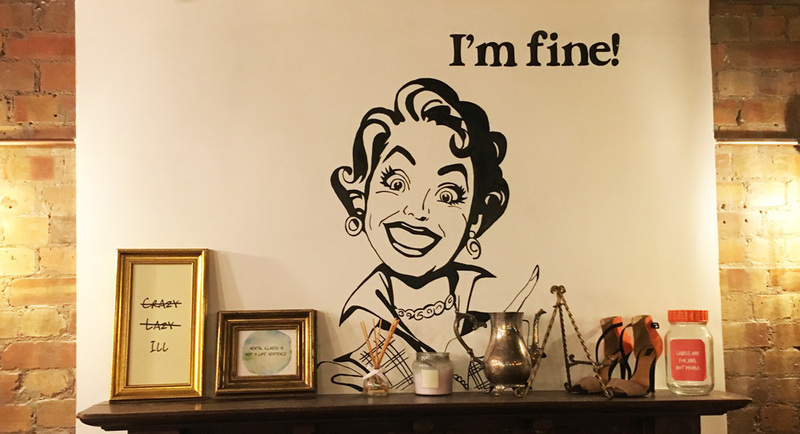 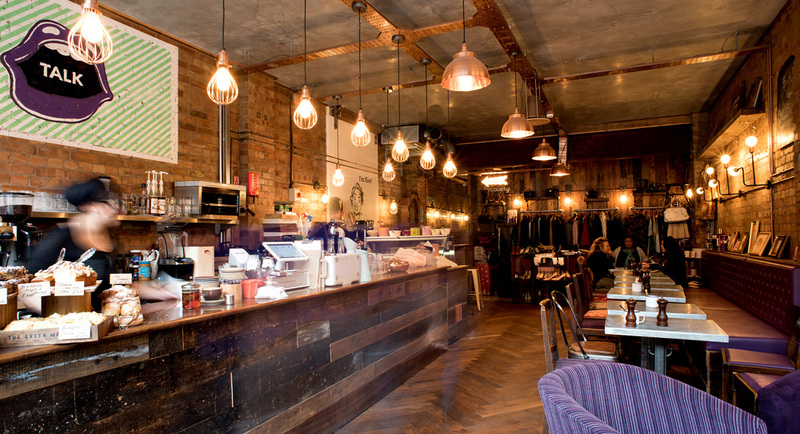 Combining great food and beverage, with a charity boutique, educational activities and a wellness drop-in, Head Room Cafe is a truly unique and remarkable offering that goes a long way towards breaking down mental health barriers and taboos. 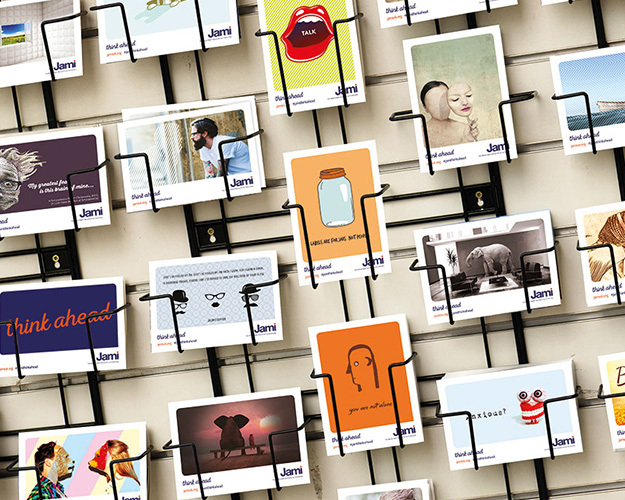 Here, campaign images such as the ‘elephant in the room’ become a physical elephant doorstop, and the ‘labels are for jars’ image becomes an actual tips jar at the counter. 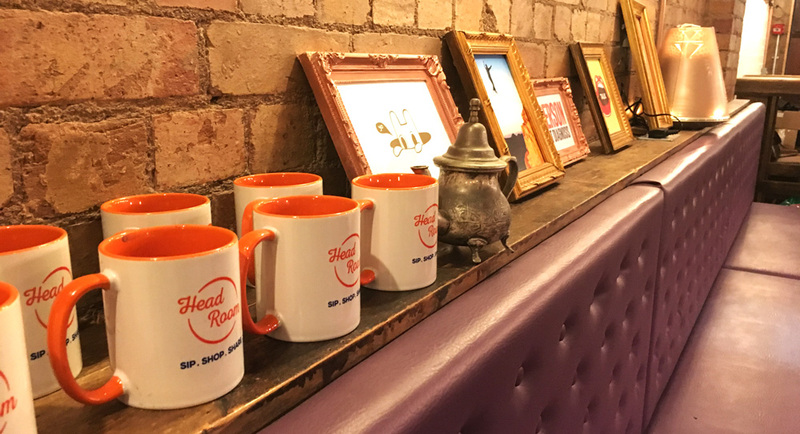 Since the campaign launched, the charity has grown significantly in terms of public awareness, the number of people accessing its services and donations to the organisation. 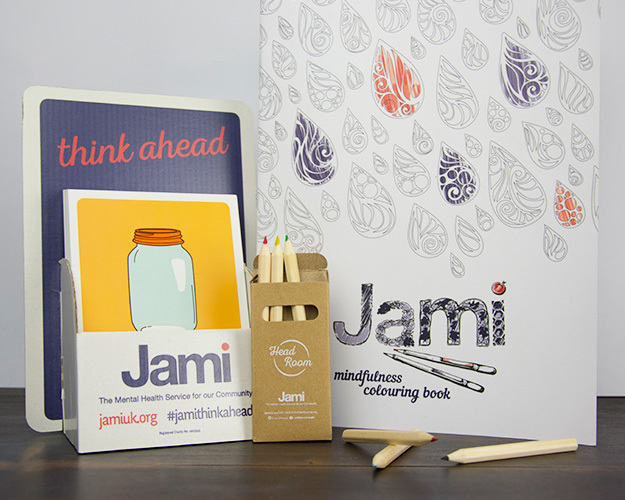 It has therefore achieved many of the ambitions it set out when we first started working with them – but it now has even greater ambitions and challenges, which Creative Clinic continues to help it work towards achieving.